Delicate, almost transparent, homogeneous and smooth are some of the adjectives used to describe the sound of The Fionian Chamber Choir. The ever-ongoing work on refining the sound has been central in the past 30 years that the choir has existed. The characteristic sound is due not least to the conductor Alice Granum. In her skilled hands, she mediates both music and lyrics playfully, artless and with great ease. This has made The Fionian Chamber Choir high in demand in Denmark as well as abroad. The choir has an extensive amount of variable concerts throughout the whole year, and it has released many critically acclaimed CDs. Its work mainly consists of a capella music, with the main focus on Nordic sound. 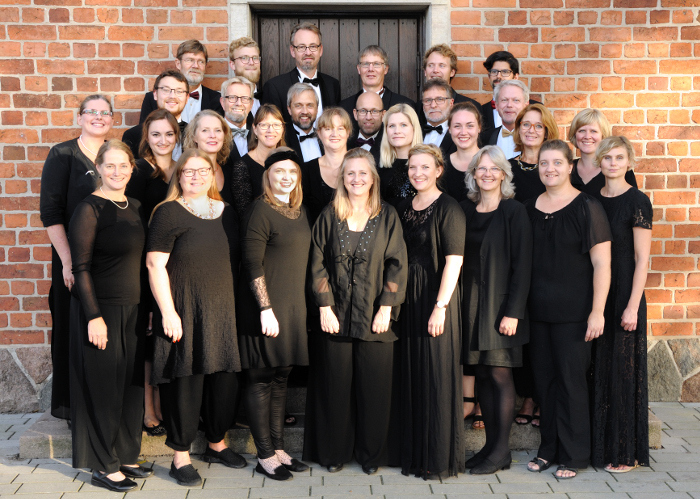 However, the choir shows great diversity seeing as it also has projects with the Symphony Orchestra of Odense.